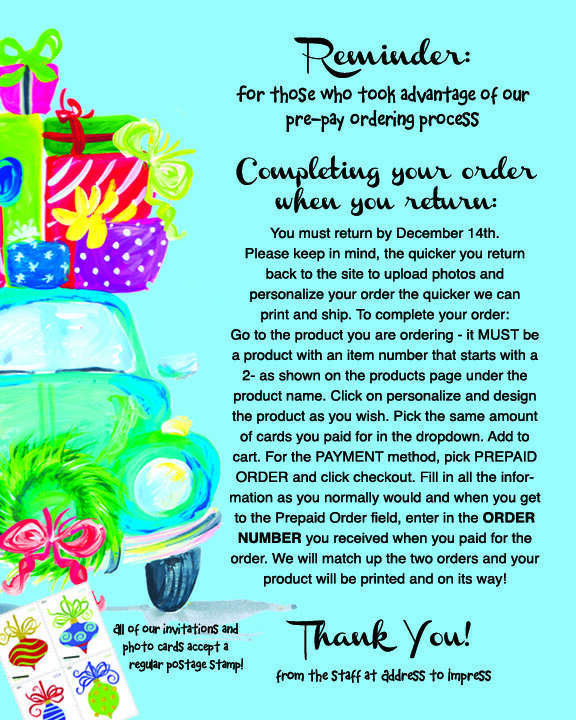 You MUST return by December 14th to ensure delivery by the holidays. We will match up the two orders and you product will be printed and on its way! !